so I'm hoping to break out of my shell, which mean I'm going to try and post some photos of myself. To be honest i HATE photos of myself or maybe it's just the fact that i cannot take a decent photo of myself. Considering how much i love taking photos i wish it would just work. Maybe I will manage to get one of my friends to take a few snaps. Photos tba in a few. I’m about to rant so if you want to skip this just go to the pics. Warning said. I am seriously unhappy with living in Calgary at the moment. What is it with everything being so expensive even with sales.. it’s still so expensive!. Today, while shopping with my mom... after going into so many shops it just makes me that much more frustrated with the price tag. (Is it unjust to think that $70 on a little denim skirt is a little much?) I love, love, love Zara no mistake but even with some spending money i’d rather have it spent on the $80 silk skirt at French Connection, then at least i’m getting silk. I don’t know what it is, exchange rate? Shipping? But why does everything cost more in the great north? Blah, blah some one is going to tell me exactly what it is, but i don’t care. This is possibly brought on by my penny pinching half. Value for your dollar, spend it wisely, alter ego. Cheap is great, quality is better. Oh well once I’m bringing in the cash this will all be thrown out the window. Shoes, skirts and tops will be purchased with no regrets... anyways with all this ranting and being a hypocrite. I believe we all have our moments, on one hand we try to save and pinch our pennies and on the other we are totally willing to blow it all on the most amazing pair of shoes... what to say.. it’s me. saw one in Zara just need the money..
comfy shirts... also saw this in Zara wasn't sure about the blue since all the white was gone. wow tell me about it..just bought a tee for $100..dont get me wrong i love it but then again i'm like wait i just spent that on a tee? I agree that zara can be overpriced! Especially for dresses and bags.. 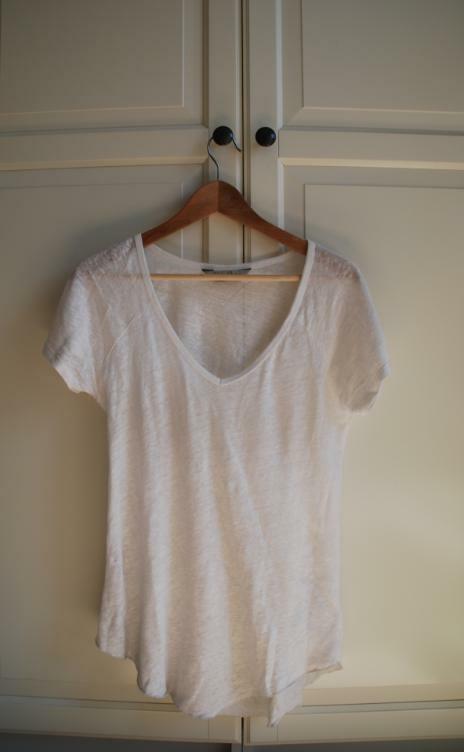 But sometimes the basic T´s (like that white one) are cheap, that one costed me only 17 euros and the fabric is great!